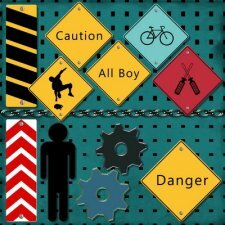 scrapper profile Archives - Scrapbook MAX! 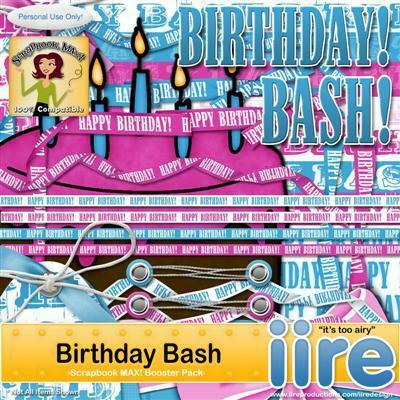 To kick off the party, check out kimbob’s bright, funky birthday layout above! Doesn’t it make you smile? 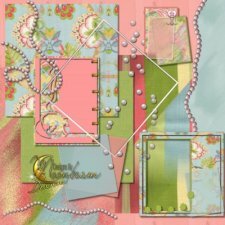 Get inspired by this design and all the others as you enjoy this month’s issue. 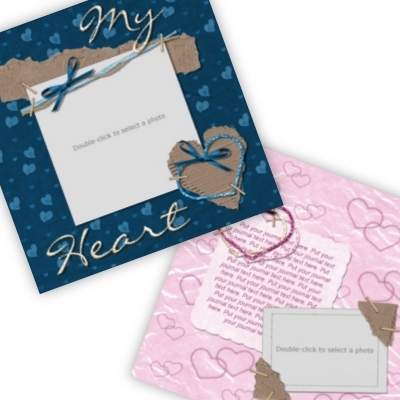 We’ve also included your favorites – freebies, a challenge, a scrapper profile, a digital kit store discount, and an AWESOME deal on PhotoSpark digital photo album software!! Read below for the full scoop. 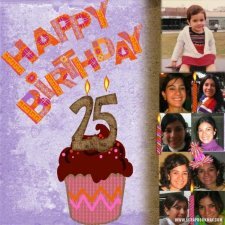 It’s a birthday – is it any surprise that things may start to get a little wacky? We love these two layouts for the laughs that they’ve captured forever. 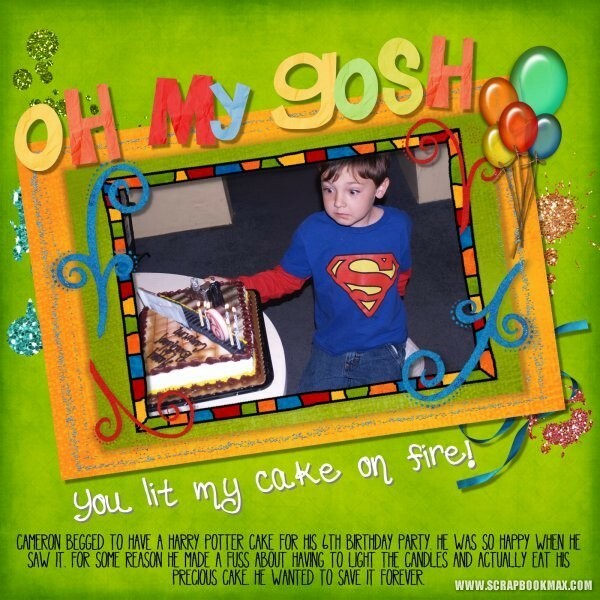 The facial expression in Pickngrin’s layout is priceless (this superman cutie apparently didn’t want anything spoiling his heroic cake – including candles!). And Michelle, Michelle – you sure know how to have fun! 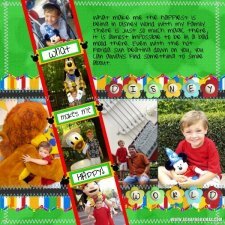 Great layouts that will make even a non-birthday day all right! 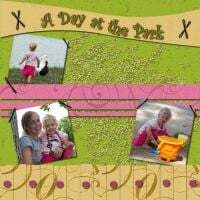 From the makers of Scrapbook MAX!, PhotoSpark is a complete digital album kit for Windows, perfect for anyone who loves getting creative with their photos. 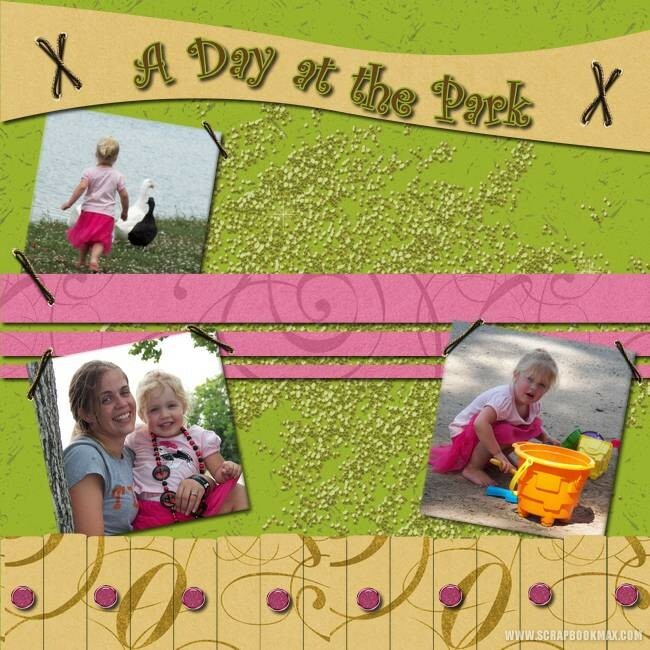 You can even use PhotoSpark‘s content in Scrapbook MAX! – a great way to expand your kit collection (details below). For one week only, get PhotoSpark for only $15 – that’s an awesome $24.95 off the regular price! But you have to hurry – this offer is only good until August 7, 2009! 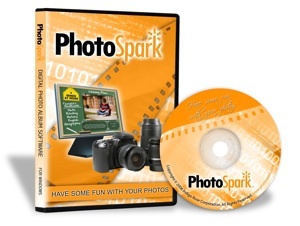 PhotoSpark comes with everything you need to make impressive albums with your digital photos. Includes professionally designed album themes and page layouts, hundreds of photo-realistic clipart images and patterns, caption and journal text features, and more. 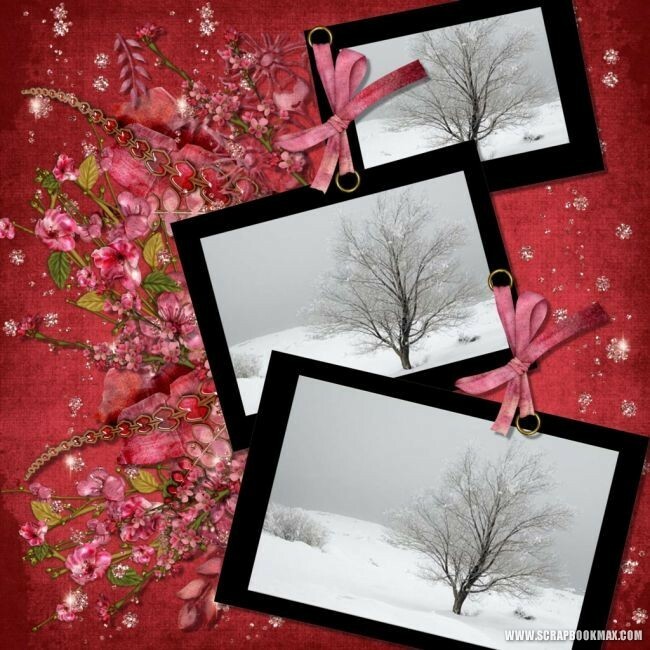 Click here to see what’s included in PhotoSpark! 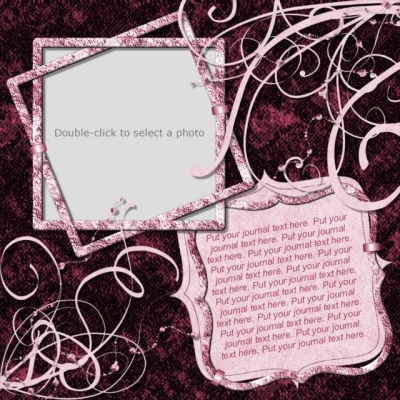 and Click here for instructions on using PhotoSpark‘s content in Scrapbook MAX!. 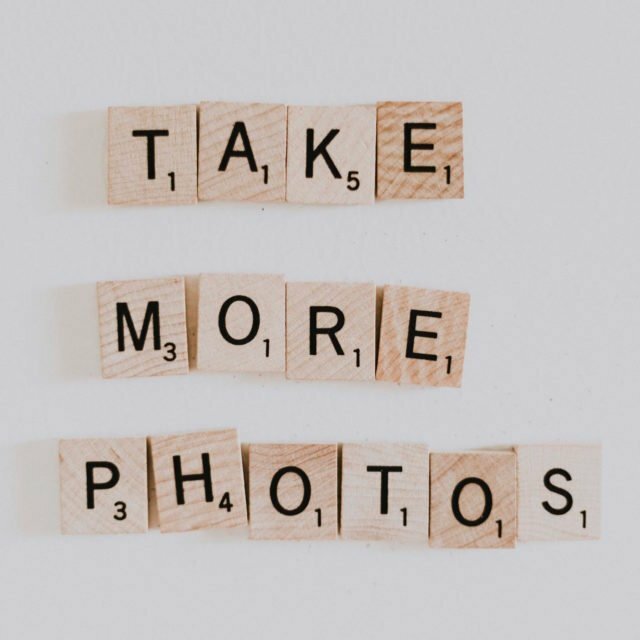 Perfect for the person on your list who loves getting creative with their photos, including yourself! Offer is good only on PhotoSpark software using the link given in this offer. 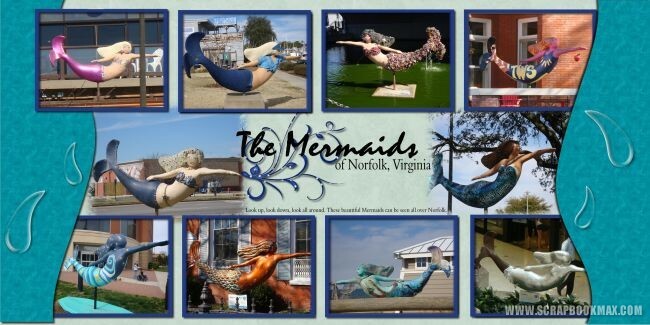 Prices are in US dollars and do not included shipping and handling. 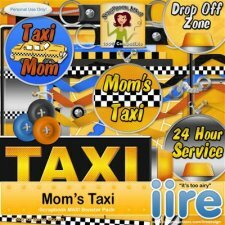 Offer is good on new orders only and cannot be combined with any other offers or discounts. Expires August 7, 2009. 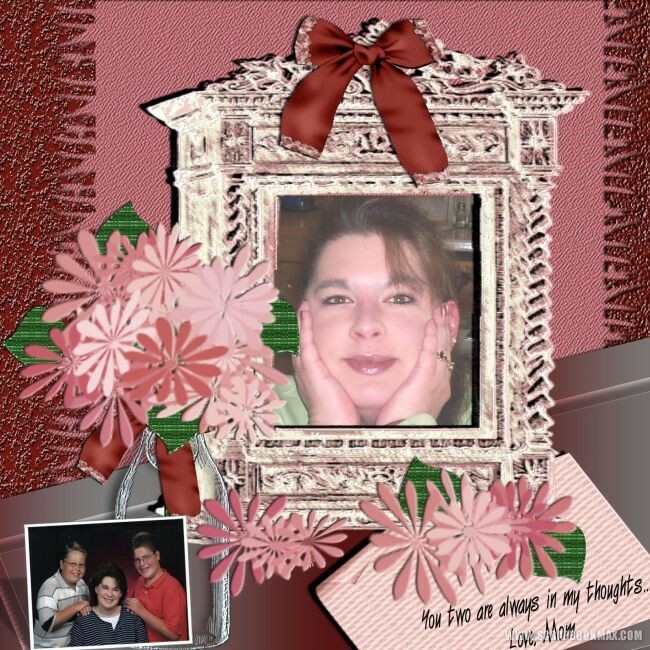 Meet Marshalynn, a friendly, fun scrapper and fan of Scrapbook MAX!. Get to know more about her! A – “With Marsha, what you see is what you get, her family is most important to her above all else. She knows when to be funny and laugh and when to be serious and get the job done”. 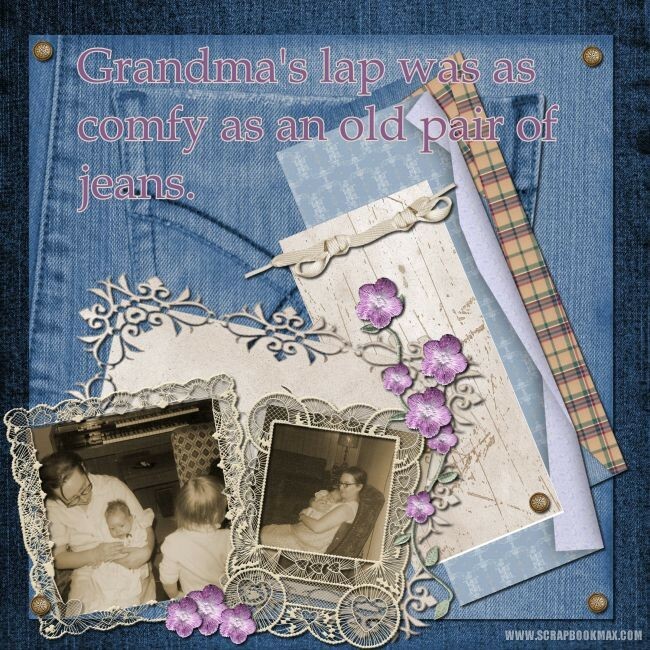 Q – How did you find out about Scrapbook MAX!? A – A video on Youtube. 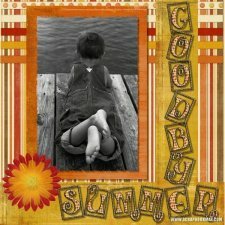 A – Photography, Cross Stitching, Cooking, Decorating, Shopping and movie nights with the kids. A- My husband Rusty, most amazing man I have ever known. My girls…Staci, Katie & Meagan…they are little mini-me’s! A- The love of my family. Colors and shapes reminds me of people so I try to match them together. Example…my Mother loved lavendar and flowers, so she gets a floral and lavendar layout. 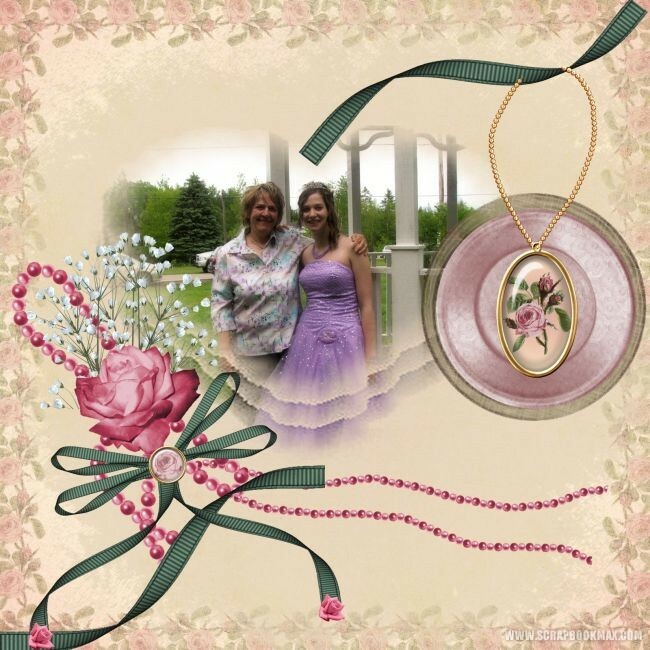 A- I LOVE pinks…florals, ribbons, butterflies, lace and buttons and brads! 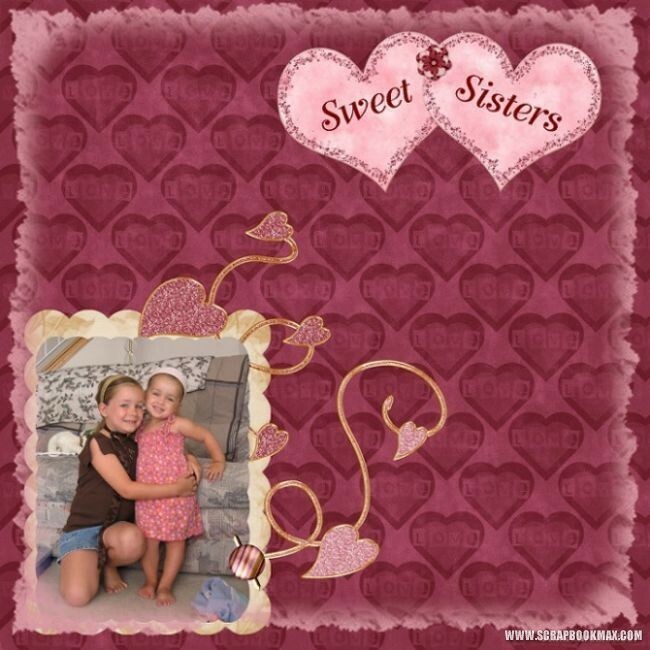 Q- What’s your next scrapbook project? A – 100+ pictures from July 4th Family BBQ and then 167+ pics taken today, spent the day in downtown Dallas with my daughter…I’m SO behind! Q- What is your favorite feature in Scrapbook MAX!? A- The ability to purchase the beautiful work of the pros and have it expand my library! A- Hard question…I would have to say Oprah Winfrey. She has the finances and ability to help so many people who seriously need a hand up in this world. If I were her, I would start with the homeless, the hungry and the sick children in the United States – we need help here at home too. 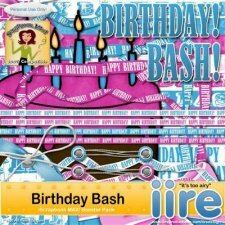 This month, Steve Russell is sharing this fun, festive freebie set with you –perfect for any birthday bash. 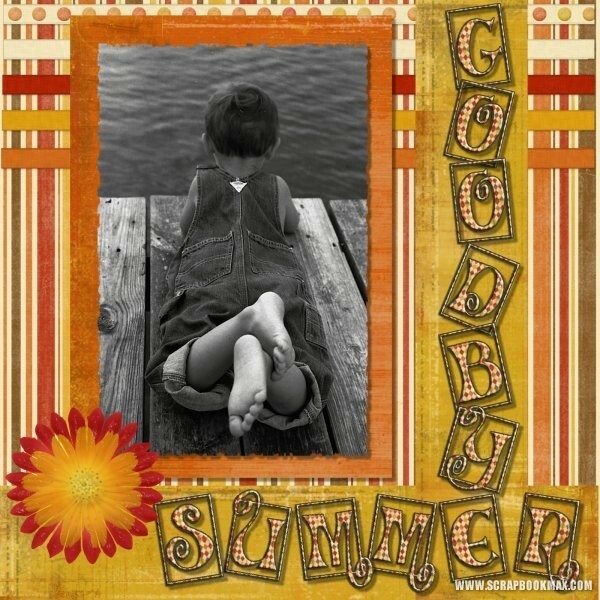 Find the freebies in our Groove Monthly Freebie thread! 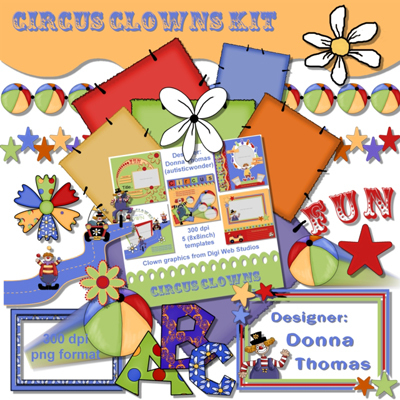 Download the freebie kit. 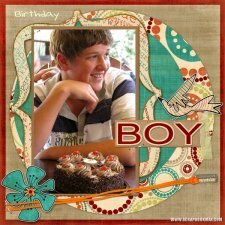 Using at least three of the elements, create a birthday layout with your favorite birthday pics! Find the challenge thread here. Love Steve’s freebie mini-kit? Looking for kits with a similar style? 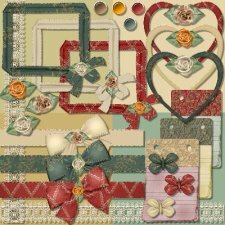 Below are August’s four featured kits, all by Steve Russell. Be sure to use the coupon code IRE-AUG, to get 10% off your purchase. 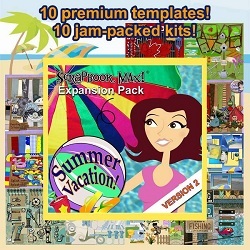 Simply add any of the four Featured Kits to your cart until August 31, 2009, and type in the coupon code IRE-AUG to receive your 10% off discount (be sure to type in the code IRE-AUG exactly as shown. Applies to new orders only). We love Winnie49’s birthday layout that creatively usese photos of the birthday girl “through the years.” What a terrific keepsake showing how far someone has come. Plus, that cupcake looks yummy (tee-hee!). Look for the next issue of the Groove on Septemebr 1, 2009! Not yet signed up for The Groove? Sign up for free today and get a link to the Groove delivered right to your inbox each month. 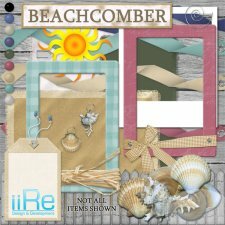 Inspiration, freebies, challenges, scrapper profiles and more await! 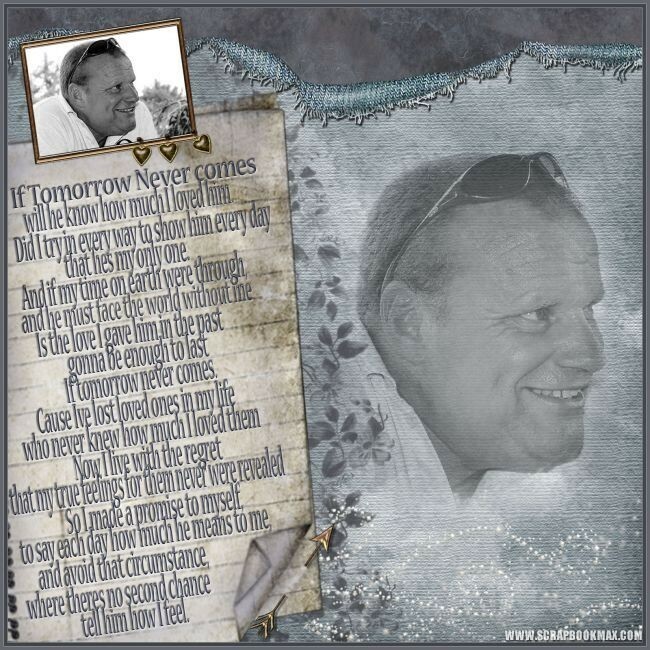 In May and June, our thoughts turn to Mothers and Fathers. In the next two issues, we’re celebrating parenthood and family with great layouts of beloved children and dear parents, grandparents, and other loved ones. 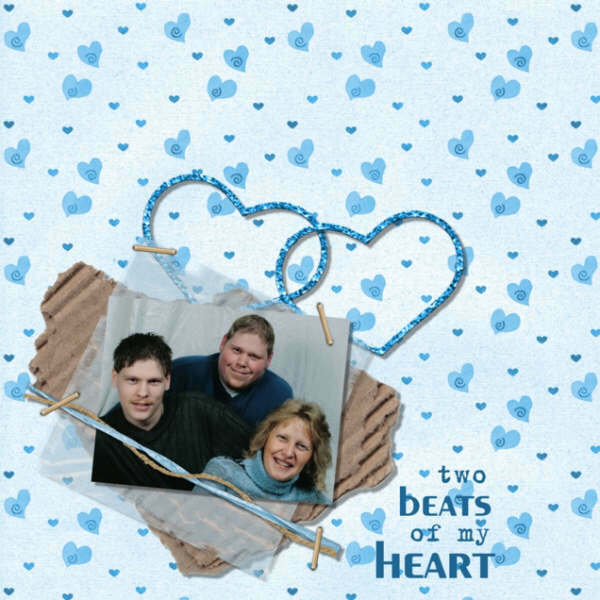 From old-fashioned, to funky, to fabulous, we hope you enjoy these family-friendly layouts, and get inspired to create your own special keepsakes. 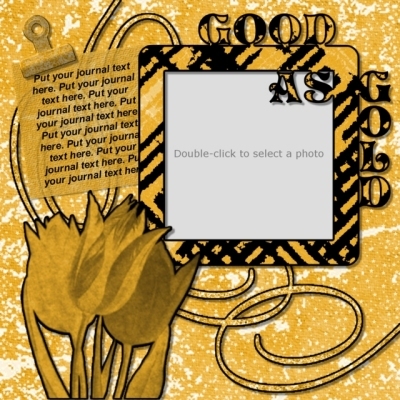 As always, look for a great freebie and challenge – this month by Scrapbook MAX! 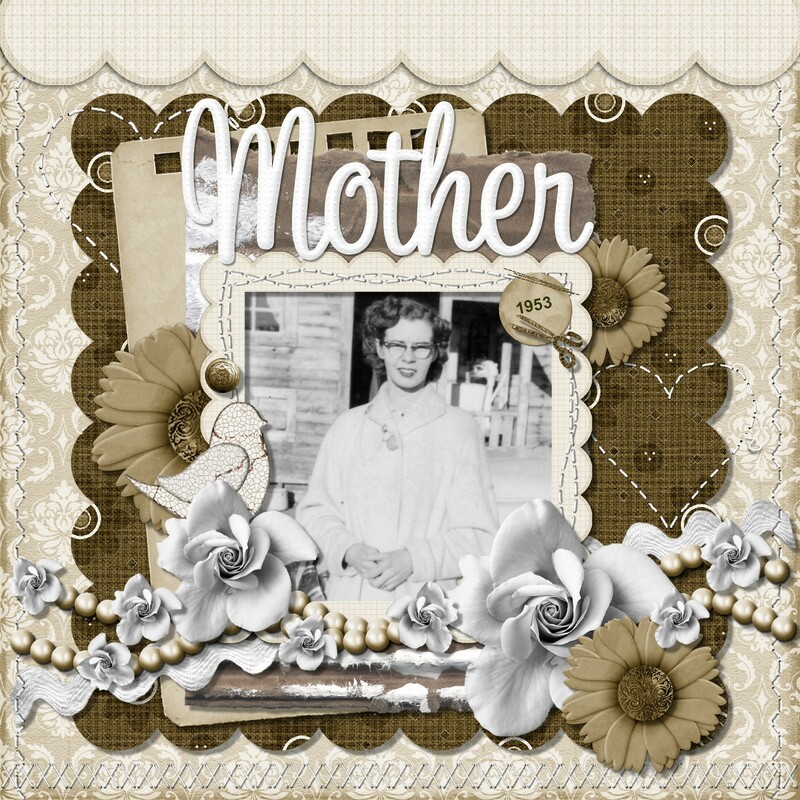 Booster Pack Store Designer Wendy Gibson (it’s a Mother’s Day theme! ), a terrific discount, and other fun scrapbooking stuff! Meet Terri, a.k.a. “pickngrin”, a talented scrapper and great friend of the Scrapbook MAX! community. 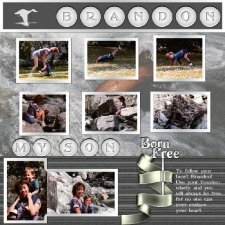 Get to know her better below, and check out some of her awesome layouts! Imaginative. My brain is on high gear at most all times thinking about how things would look together or how to make something out of nothing. 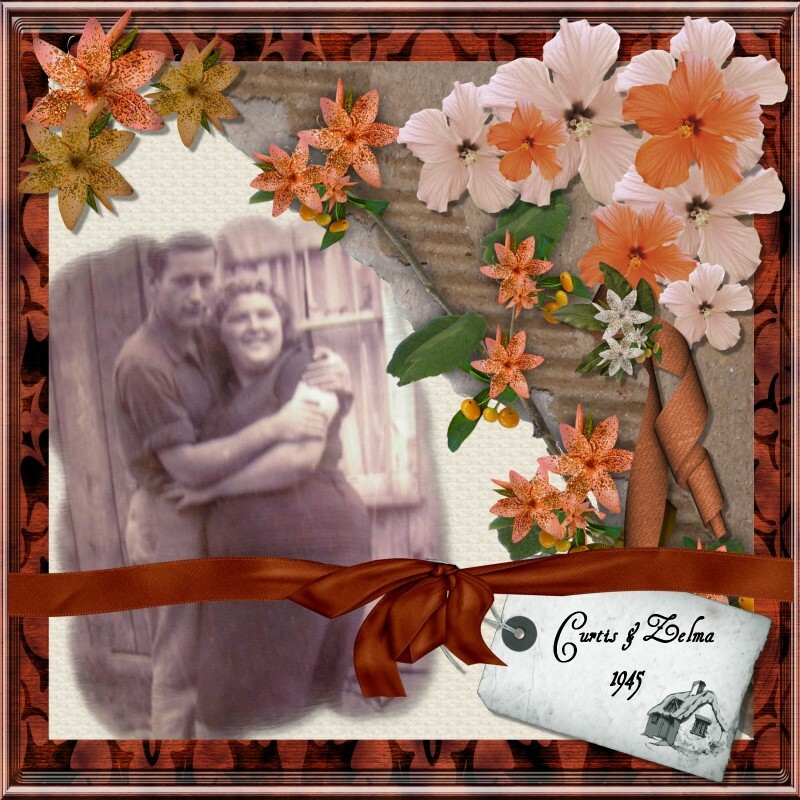 Q-What got you interested in digital scrapbooking? Honestly, the main reason is because I am too big a slob to keep paper scrapping supplies organized. Also because it is cheaper and a whole lot more fun and flexible. 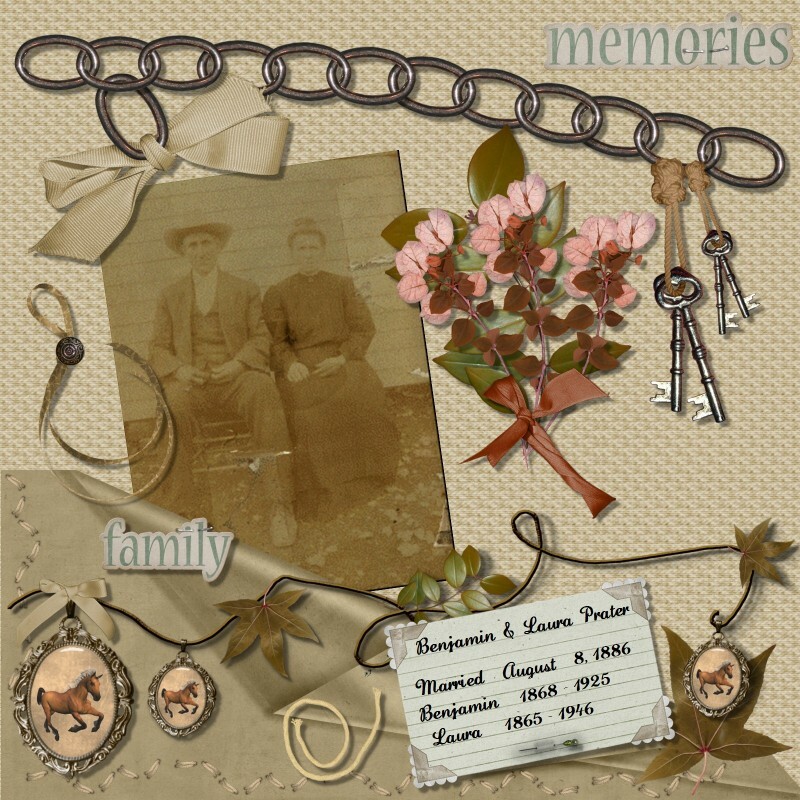 Q-Who are the most common “subjects” of your scrapbook pages and why? My son Cameron is who I scrap the most. It is really over-whelming how many photos I have of him. Although it is sad to say that even though he is now six years old, I have never finished his one year book. 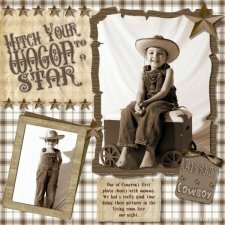 I also love to scrap family and clients that I have done photo shoots for. Q-Where do you find the inspiration for your layouts? Sometimes it is the photo, sometimes the kit I may be working with. I also find tons and tons of inspiration from seeing other people’s layouts. Or if I have scrappers’ block, I like to look at magazine ad’s for different products or companies and sort of scrap lift advertisements. Martha Stewart ads are always a good place to start for that. Then there are the monthly and weekly challenges here at Scrapbok MAX! -they always inspire something new that I may not have thought of. 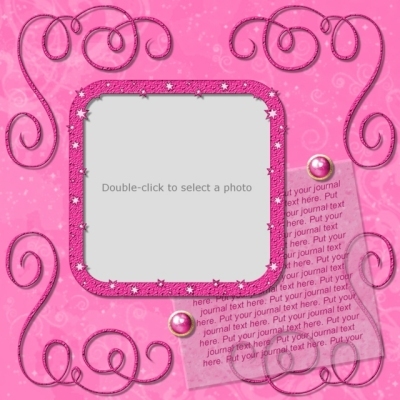 Q- In one sentence, tell us what you think is the best feature of Scrapbook MAX!. That would have to be the paper shape option. Editor’s Note – to add a shape to a paper scrap or photo in Scrapbook MAX!, double-click on your photo or paper, then choose Custom Shape and Change Shape from the shape gallery. Next, pick your favorite shape! 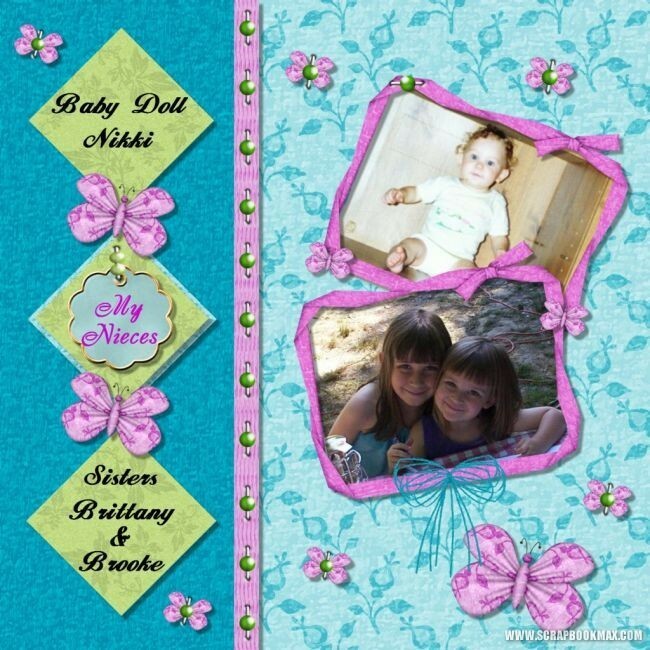 Q-Do you have any helpful digital scrapbooking tips and tricks that you can share? Wow that is a hard one. I guess it would be to tell people to practice their photography skills. Try to get the sharpest, most colorful pictures when snapping your camera. I have seen some layouts that are kinda blah but pictures are amazing, in turn making the whole page sparkle. Also trying different layout styles. Sometimes I love making full blown layouts while other times I love negative space layouts. 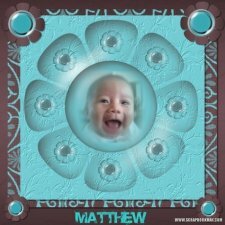 Like I said, I am still working on my son’s first year of life book. 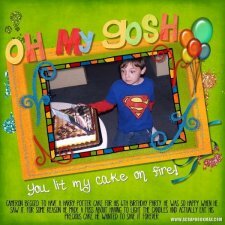 Then I will do his 2nd year and so on to try to get caught up with how fast he is growing. It is just kind of hard finding little boy stuff that fits him, which is almost impossible. He isn’t into trucks, bugs, action-heroes, sports or dinosaurs. 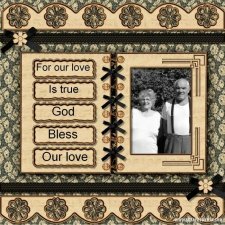 So along with making his books I am trying to create papers and elements for his books. Q- Name your two favorite movies. Seriously? Only two? Wow……To Kill a Mockingbird has to be up there and if you base what I have seen the most times, it would have to be You’ve Got Mail, I watch that everytime I am sick, sad or alone in a quiet house with no boys (husband or son) wanting to drill or hammer something. We asked designers from the Scrapbook MAX! 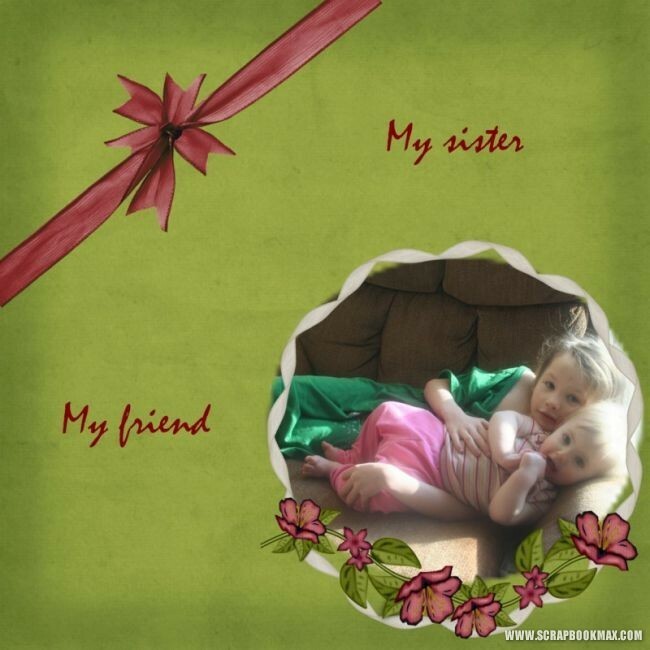 Booster Pack Store to submit inspiring layouts featuring special kids in their own lives. 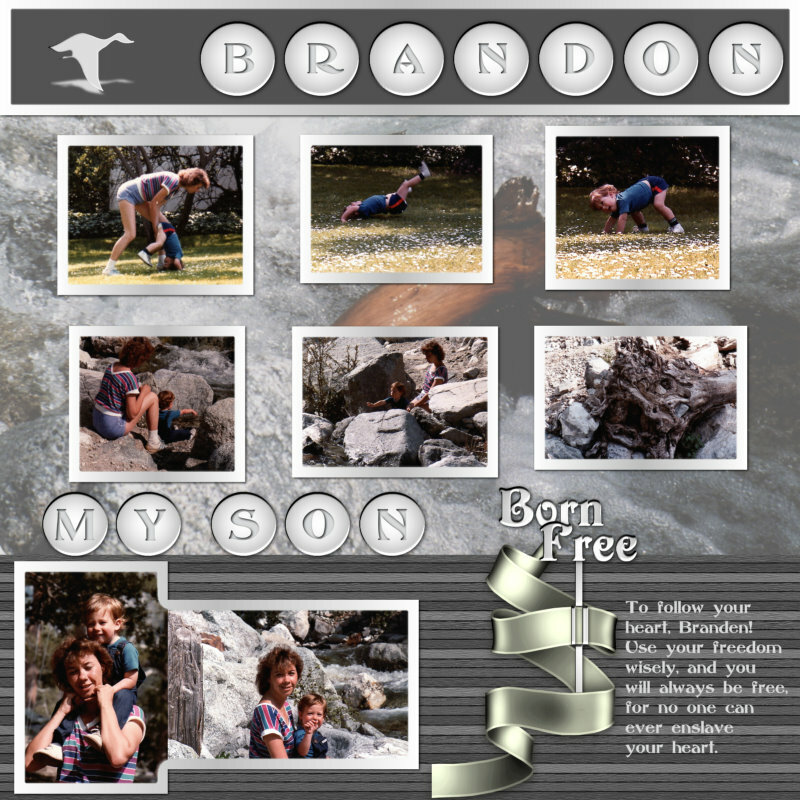 We love how the steely grays set off the gorgeous nature photos in Esther’s “Brandon” layout. 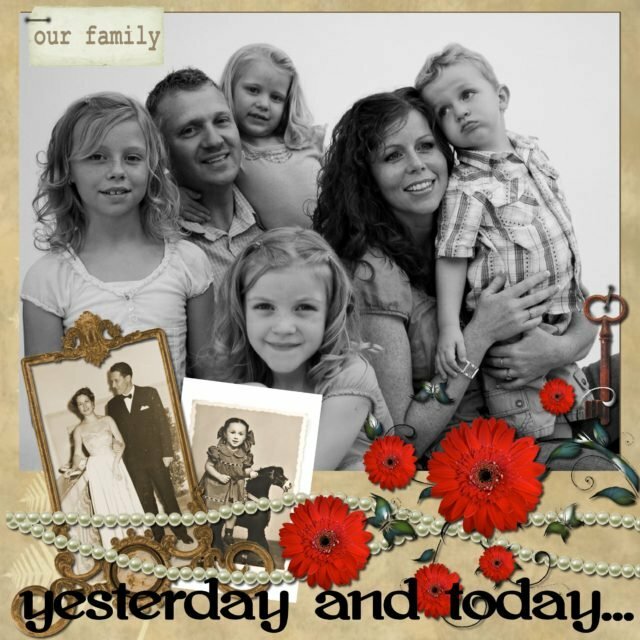 And Diana’s cool blues and craft paper embellishments give her family layout a ton of charm. 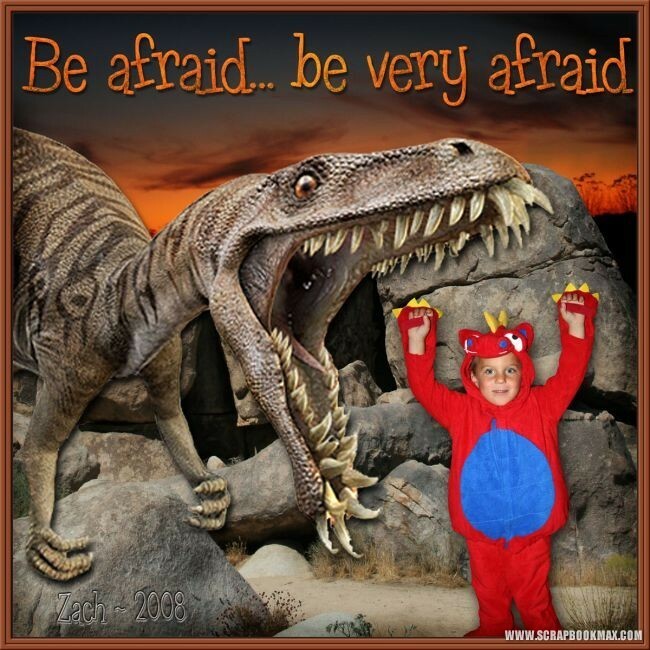 Thanks to Esther Barry and Diana Carmichael for sharing this month! 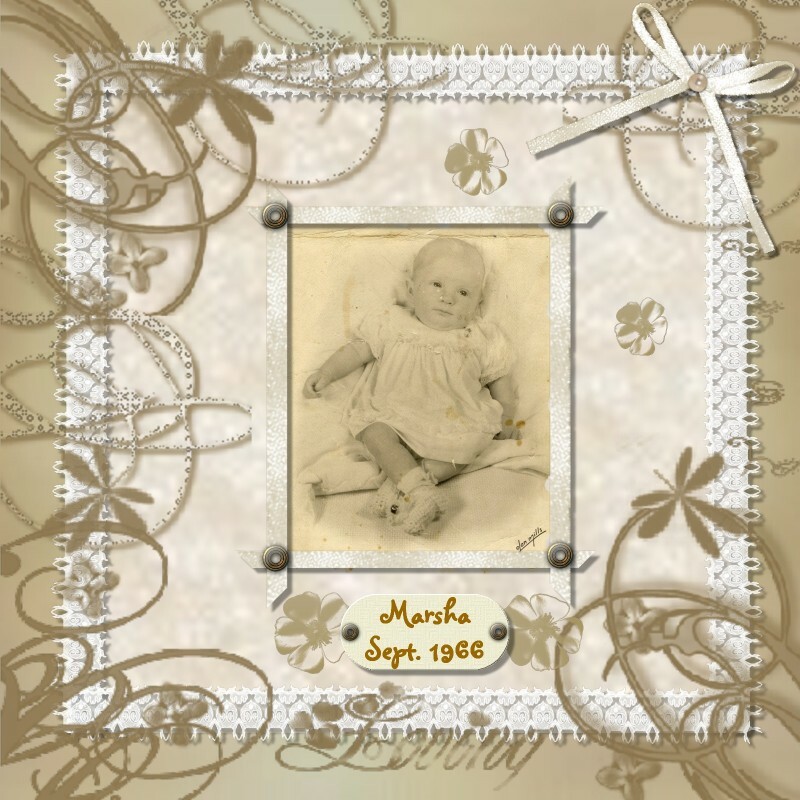 Below is a special layout by Marnie, co-Editor of The Groove and new mom! 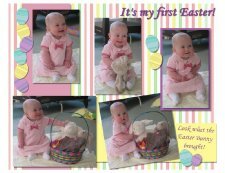 Aren’t these amazingly adorable photos of her baby daughter’s first easter? 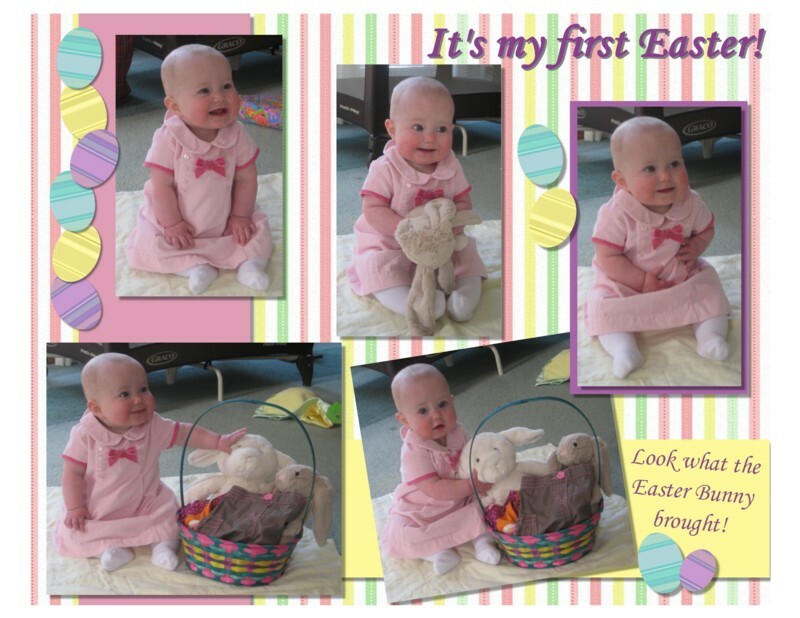 Congratulations, Marnie – have a happy “first Mother’s Day”! The Groove Monthly Freebie Challenge! Get this great Mother’s Day themed freebie from Wendy Gibson, and participate in the challenge (details below)! 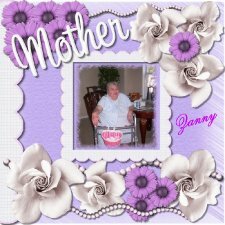 This month, Wendy Gibson is sharing this lovely, feminine freebie set with you – just in time for Mother’s Day. 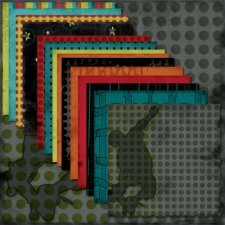 Find the freebies in our Groove Monthly Freebie thread! Love Wendy’s freebie mini-kit? Looking for kits with a similar style? 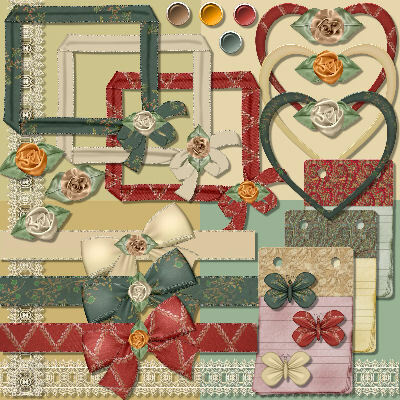 Below are May’s four featured kits, all by Wendy Gibson. Be sure to use the coupon code WEN-MAY, to get 10% off your purchase. 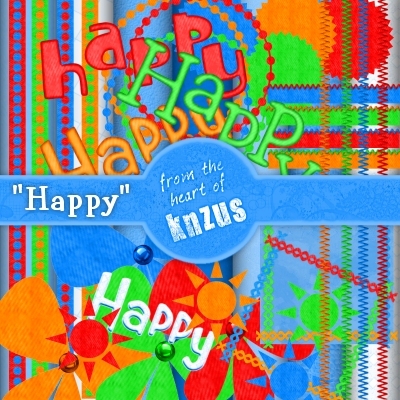 Simply add any of the four Featured Kits to your cart until May 31, 2009, and type in the coupon code WEN-MAY to receive your 10% off discount (be sure to type in the code WEN-MAY exactly as shown. Applies to new orders only). 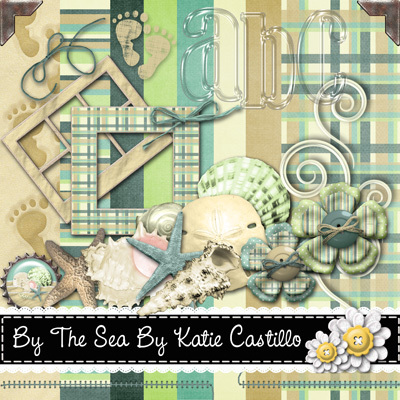 Many new kits are added to the Scrapbook MAX! Booster Pack Store each month. 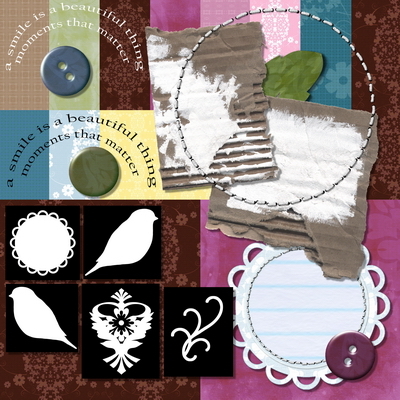 Be sure to stop by and check out our awesome selection of embellishment kits and template sets, professionally-designed to work with Scrapbook MAX!. Look for the next issue of The Groove on June 1, 2009! 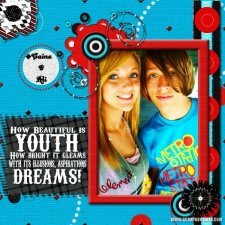 Want to make your photos “pop”? A great technique is to limit the color palette of your layout. 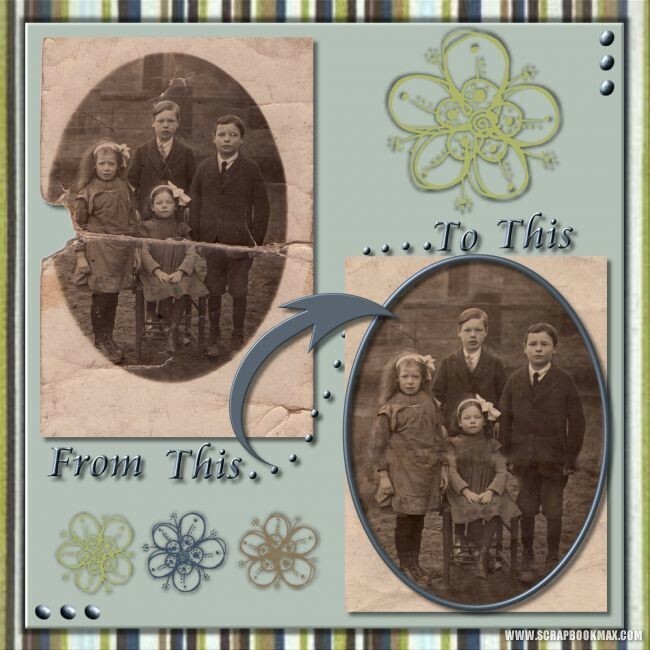 It’s an awesome way to highlight a photo, or even a certain part of a photo! In this issue, you’ll find inspiring layouts that generally revolve around two colors or tones in their design strategy. 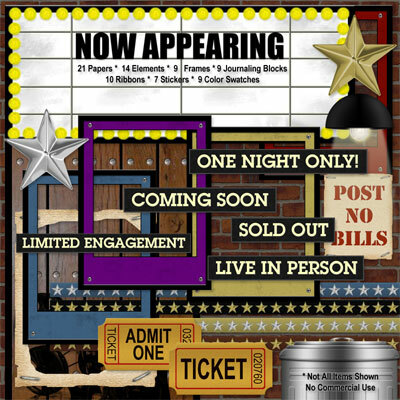 Whether you choose two neutral tones, two completely contrasting colors, or two colors in the same color family, your two-toned layouts are sure to get some attention! 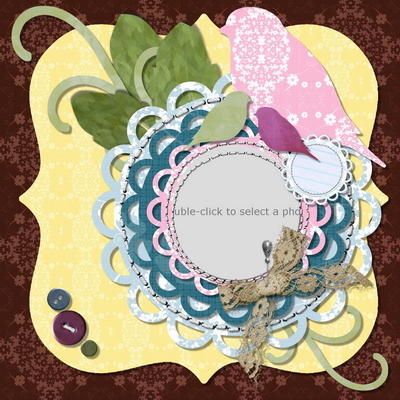 Below you’ll also find a fab Scrapper Profile, a fun freebie and challenge by Scrapbook MAX! 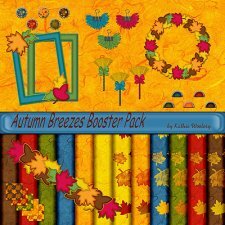 Booster Pack Store Designer Diana Carmichael. And guess what? 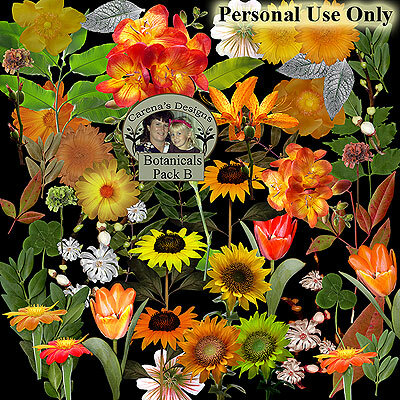 There’s an AMAZING **spring sale** going on in the Scrapbook MAX! Booster Pack Store. Below, you’ll find a special coupon code for an awesome 20% off all digital kits and templates in the store – get all the exciting details below! 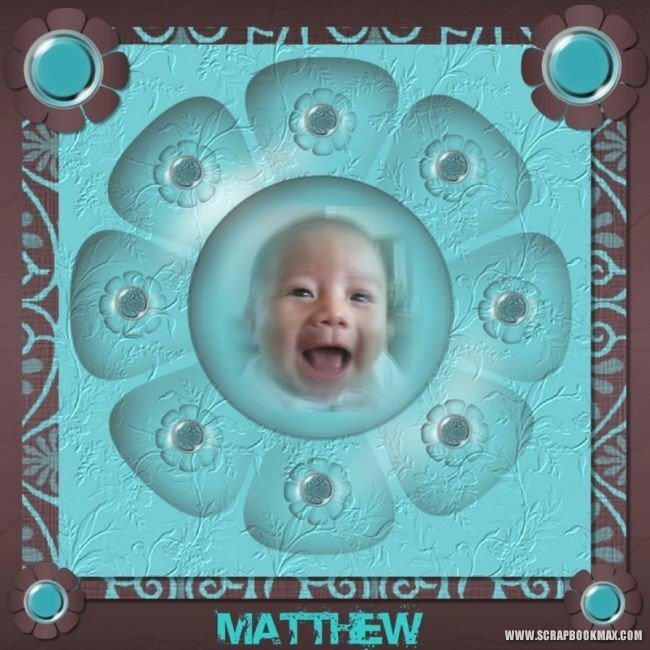 Let Your Photo Guide you! Want to create a two-tone layout but not sure which two tones to use? Look no further than your photo! 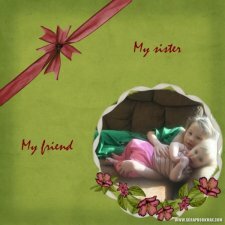 The green and pink colors in the children’s outfits provided a theme for the background and embellishments selected by crunchymountainmomma (love that forum member name!). 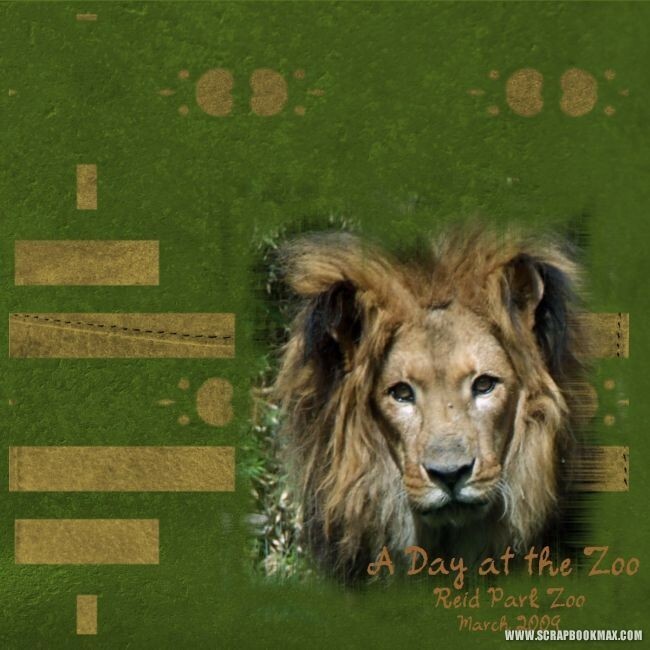 And MaggieMae wisely chose to keep the focus on this gorgeous lion by using a tone similar to the lion’s mane in her page (contrasted with a rich, natural green.) Lovely! You don’t have to pull out the color wheel and go for bright, high-contrast in a two-toned layout. Neutrals work just as effectively! 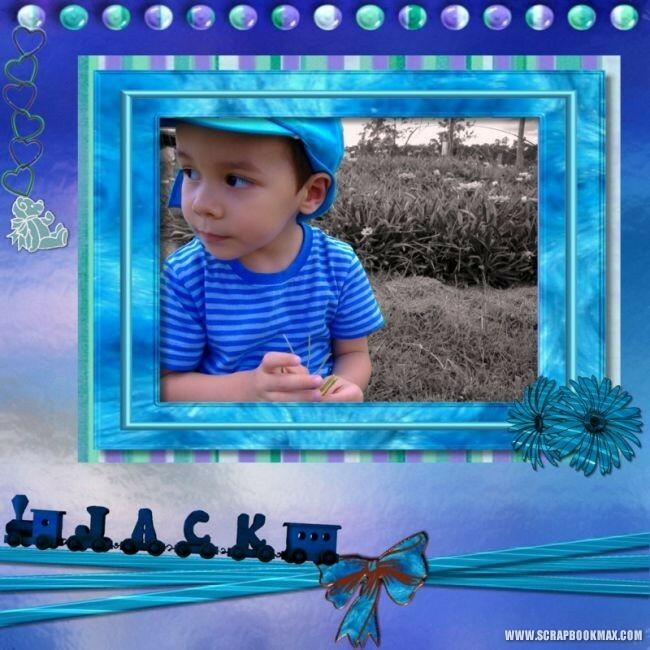 We love the subtle touch of pickngrin’s page – and what a great set of photos! 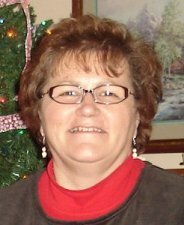 Meet Carol, a.k.a. 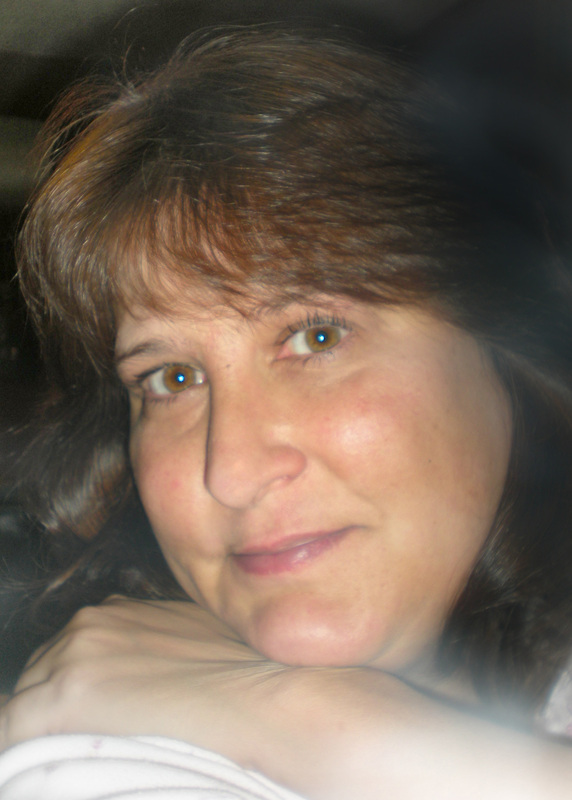 crops2dawn, a long-time friend of the Scrapbook MAX! Online Community! Carol is known in the forums for her talent for scrapping, sense of humor, and helpful nature. Get to know more about her in the following Scrapper Profile! If I could be any animal it would have to be a bird, so I could fly all over the world to meet the fascinating people I’ve found in the digiworld. I have been addicted to digital scrappin’ for almost 3 years now. 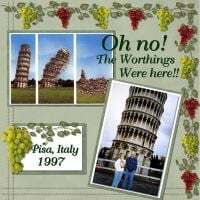 I used to do it the old fashion way, and I did love doing that, I subscribed to a magazine that came with a CD and one of the parts, was a 30 day trial for SBM, I was hooked on day one! Photography is one of my newest hobbies. My DH bought me a Canon Rebel last year and I love taking photos, I just have to keep practicing. Other than that, I love stamping, card making, cooking and camping. I am married to Dennis for almost 22 years, We have a daughter Heather who is 20, and another daughter, Amber who is 16, they both know everything at the moment, and we are just here to annoy them. LOL I have 2 golden retrievers, Shelby and KC. 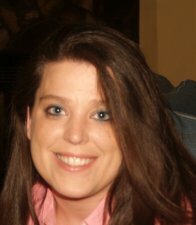 I also have 4 sisters and 1 brother, my dad passed away when I was 20, and my mom passed away when I was 30. That’s a tough one, it all depends what kind of mood I am in. I would have to say I mostly start with a photo, playing with effects is so much fun. Q- How did you get that cool forum member name? 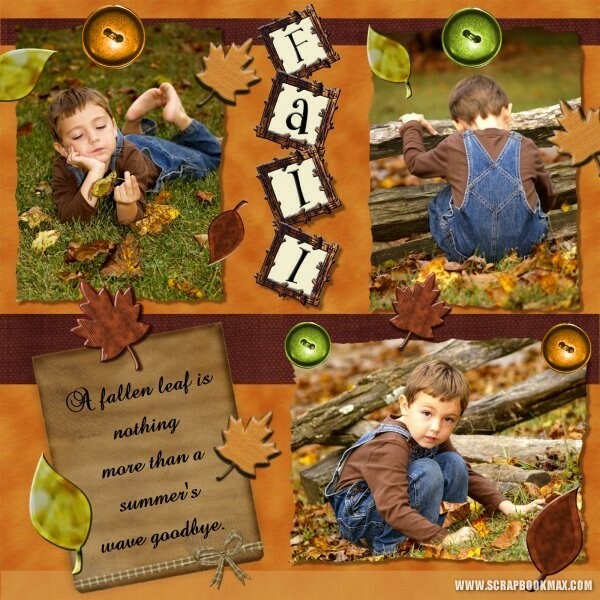 My favorite time of year would have to be Autumn, the cool crisp air, the leaves falling in an array of wonderful colors. Also a great time to take photos. Makeyesup did a great job of working with tones in a single color family (pink tones). 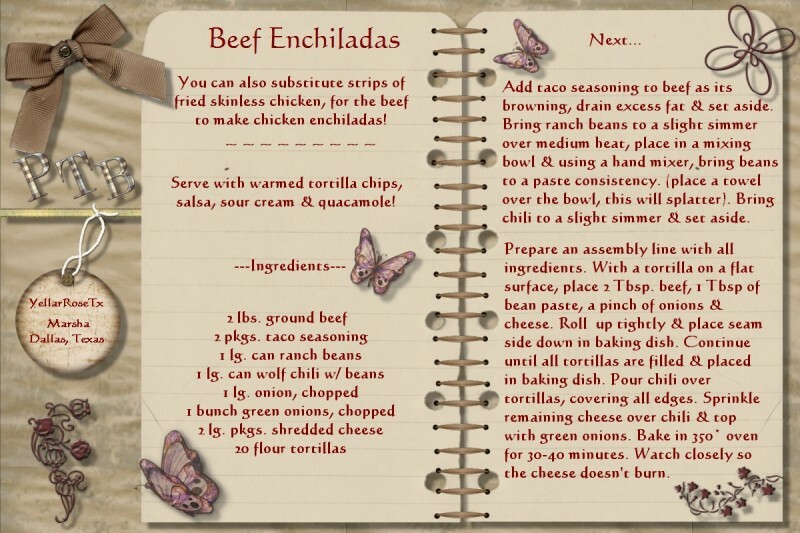 We think that this choice somehow lends further texture and depth to a page. Pick your favorite color in a couple of shades, and try it out! 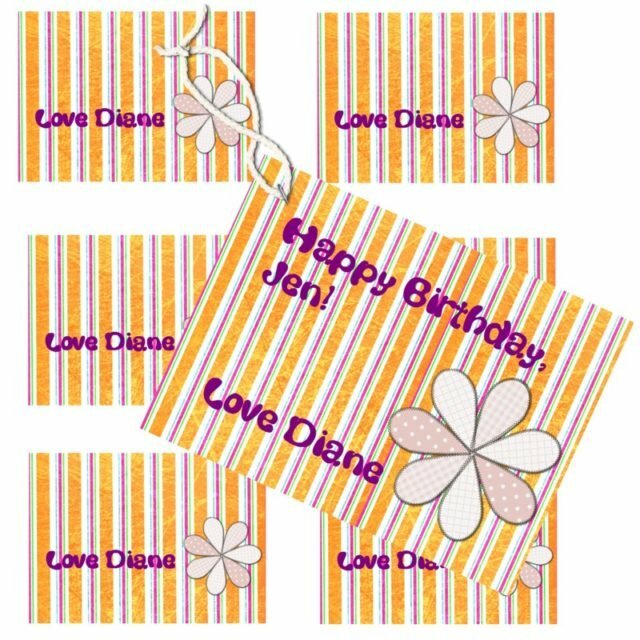 This month, Diana Carmichael is sharing this bright, fun freebie set with you – how cool is that! 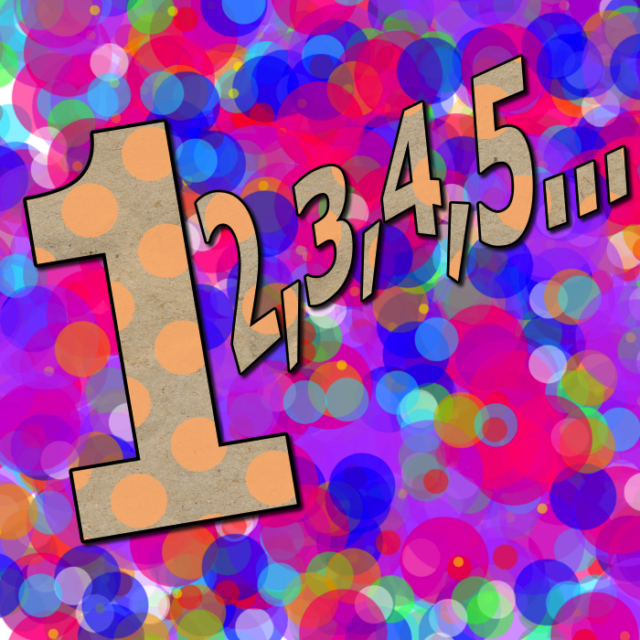 Find the freebies in our Groove Monthly Freebie thread! “What Makes You Happy?” Using items (any or all) from the freebie kit, make a page that describes what makes YOU happy. This is wide open for subject matter and size/type of layout – so go for it! 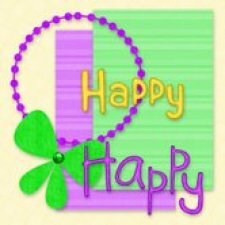 Tell us what makes you HAPPY! Upload your layout(s) to the members’ gallery and link them in this thread for all to see and admire! AND! 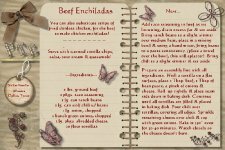 — be sure to check back every few days throughout the month as I will be adding MORE FREEBIES now and then for you to add to your collection! 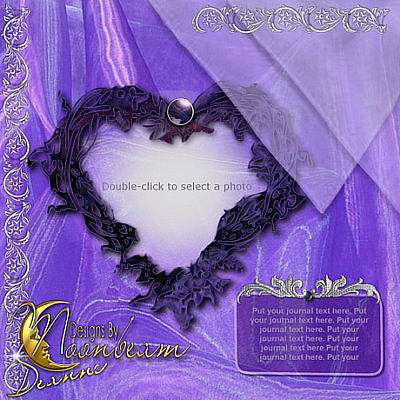 Love Diana’s freebie mini-kit? Looking for kits with a similar style? 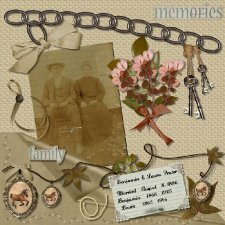 Below are April’s five featured kits, all by Diana Carmichael. Be sure to use the coupon code SPRINGSALE, to get 20% off your purchase (more details on this offer below!). 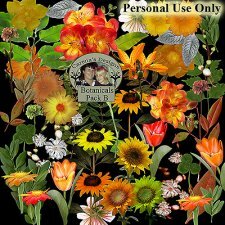 Spring has sprung, and so has a great sale in the Scrapbook MAX! Booster Pack Store (our Groove Readers are the first to hear!)! 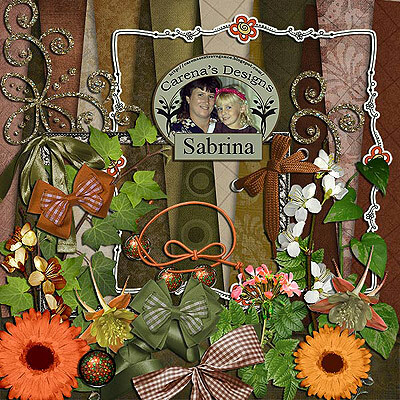 Now until April 30, 2009, you can save 20% off any digital kit or template sold in the Scrapbook MAX! Booster Pack Store when you spend $10 or more! Just go to http://www.scrapbookmax.com/digital-scrapbooking-kits/ add your favorite kits and templates to your cart, and enter the coupon code SPRINGSALE in the coupon code field. You MUST enter the code SPRINGSALE exactly as shown to get your discount. It’s a great time to stock up on digi kits and templates for all of your digi scrapping projects. Hurry – sale ends April 30, 2009! Sale applies to new orders only. 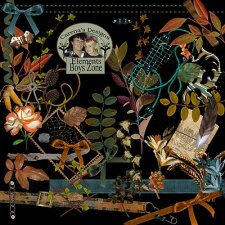 Applies only to purchases made in the Scrapbook MAX! Booster Pack Store. Coupon code SPRINGSALE must be entered at the time of purchase. Cannot be combined with any other discounts or offers. Offer ends April 30, 2009. Look for the next issue of The Groove on May 1, 2009! 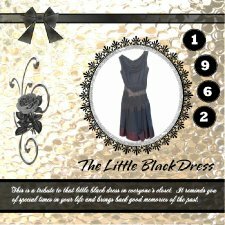 The Little Black Dress – layout by Winnie W.
Happy 2009 from The Groove! New Year’s conjures up glamor and elegance, cocktail dresses and champagne toasts. 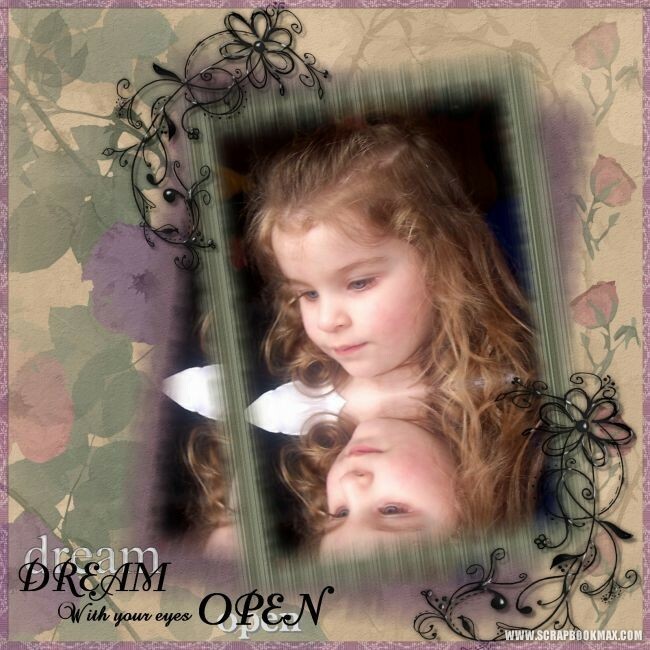 We loved how Winnie’s layout (above) captured the magic and sparkle of New Year’s. Now okay, okay – some of us tend to ring in the new year at home snuggled up on the couch watching movies rather than dressed to the nines (but having a great time, anyway!)! So although New Year’s may not always be glamorous, and though life is rarely all “black and white”, that’s our theme for the month – and what could be more stunning than the contrast of black and white? 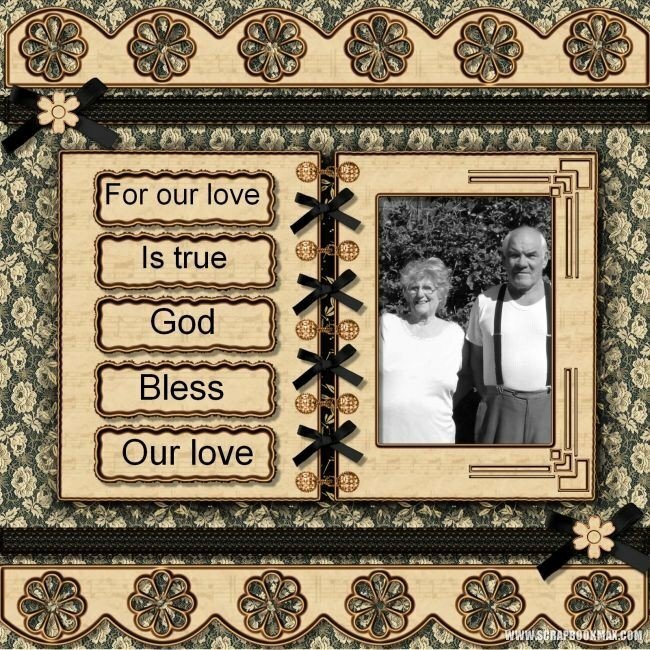 We hope that you enjoy the various striking black and white layouts we’re showcasing from Scrapbook MAX! members. We think they’re totally creative and inspiring for new year scrapping!Below, you’ll also find a fun Scrapper Profile, and a lovely freebie and challenge from Booster Pack Store Designer Carena Scott. 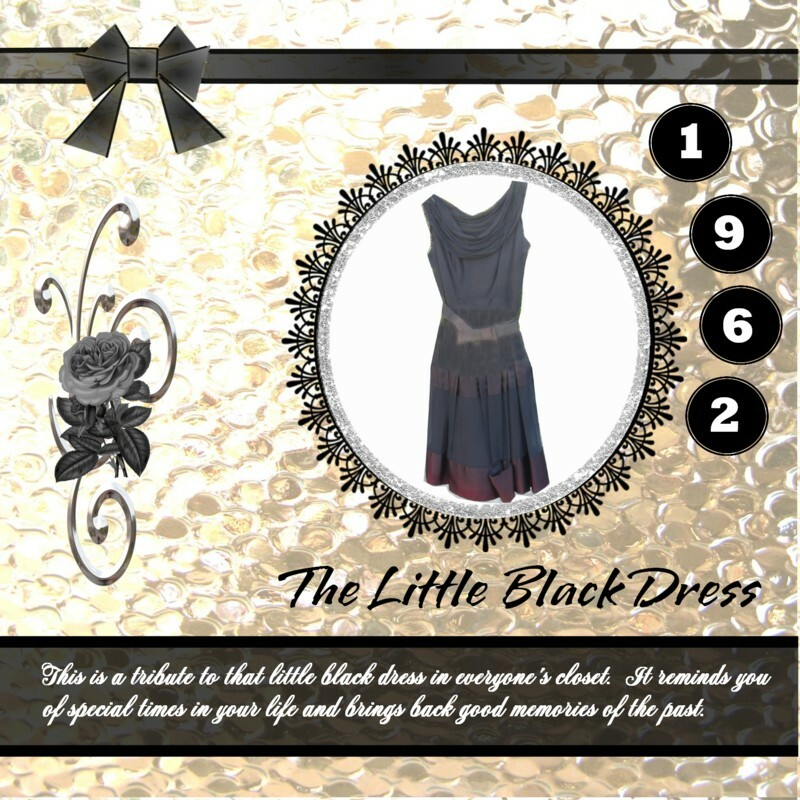 These two eye-catching layouts show us just how lovely sticking to all black and white (and maybe a touch of grey!) can be! 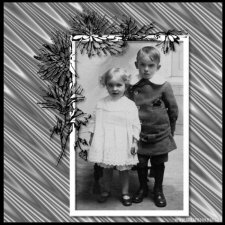 Mary’s lovely photo is shown off with simple black and white touches. 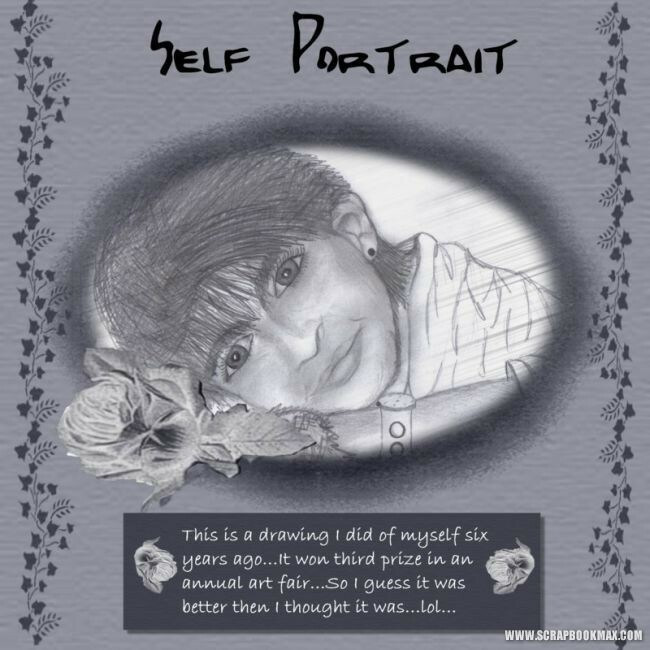 Michelle’s self-portrait sketch comes into focus with muted shades as a frame. Gorgeous! Black and white photos can also be set off by color, delivering a creative “punch”. Notice how your eye takes in the starker black and white photos first, and then moves on to absorb the colored background and elements (at least, that’s how these layouts spoke to us!). 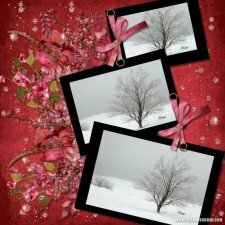 Linda shows us how black and white winterscapes can be jazzed up with color, while Pickngrin works a summer theme with just as much success. Lovely! A- That I am absolutely goofy, funny, straight laced, loyal and caring. 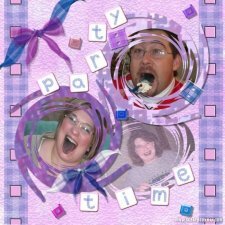 Q- How did you get involved with digital scrapbooking? A- I actually found Scrapbook MAX! at a flea market, the lady had a table set up of her work and had the SBM program and I started from there. 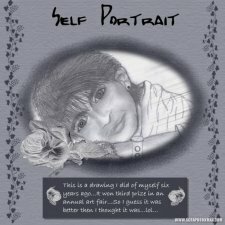 A- I would like to get into the whole designing aspect. 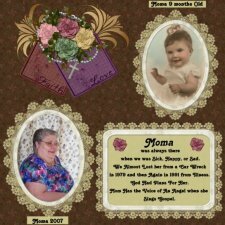 Right now all I do is make layouts; I would love to learn how to create embellishments, papers, etc. 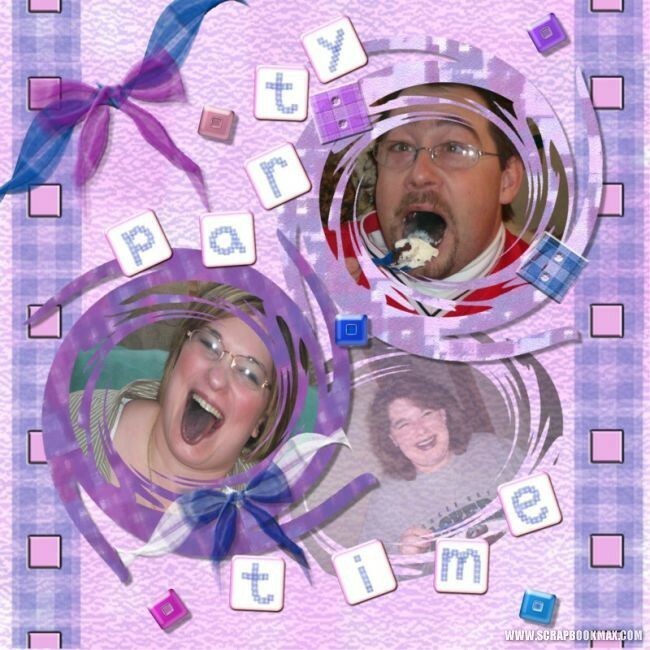 Q-Besides scrapbooking, what do you do for fun? A- I collect roosters for my kitchen and snowmen for all over the house!! My husband Ed and I started kayaking this summer. A- My beautiful family, my husband of almost 33 years, our son and his wife and our daughter and her husband. I have really been blessed by God far greater than I ever thought possible. They are everything to me. A- I guess I would have to say the challenges. 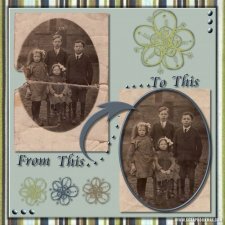 Being new to all this, they really help me explore the many different aspects of digital scrapping – and of course my family are the subjects of most of my layouts. 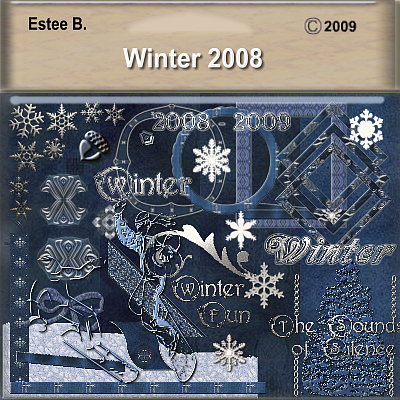 A- It’s the holidays – probably will work on Christmas 2008 layouts. A- Angelina Jolie – so I could be married to Brad Pitt and be friends with George Clooney!! LOL. 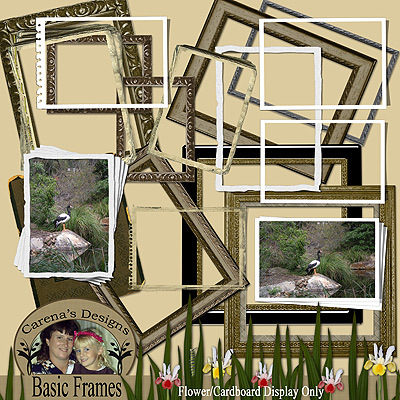 Here are a few of Susie’s favorite layouts! 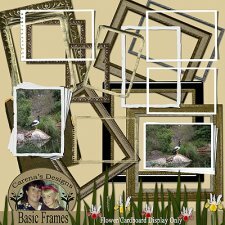 Carena Scott has generously supplied a gorgeous freebie collection that could be used to create a stunning layout for your photos! 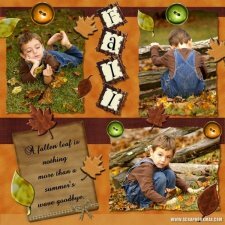 Do a multi photo layout using most of the elements and 1 paper and have a play changing the opacity of one element. 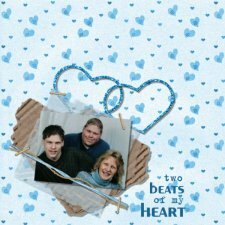 Shapes are fine to use for either 2nd paper or photos. Mostly, enjoy exploring. Share your layout in the The Groove’s January 2009 Challenge thread! 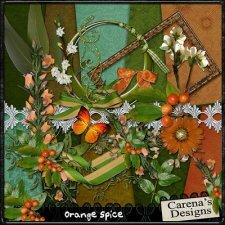 Love Carena’s freebie mini-kit? Looking for kits with a similar style? Below are January’s four featured kits, all by Carena Scott. 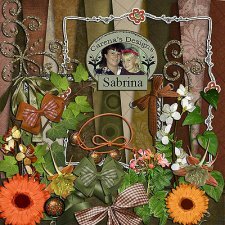 This month, when you purchase any of Carena’s four Featured Kits, you’ll receive a discount for 10% off! 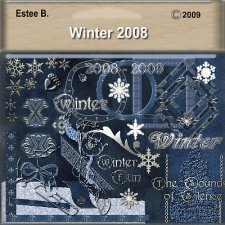 Simply add any of the four Featured Kits to your cart until January 31, 2009, and type in the coupon code CSC-JAN to receive your 10% off discount (be sure to type in the code CSC-JAN exactly as shown). 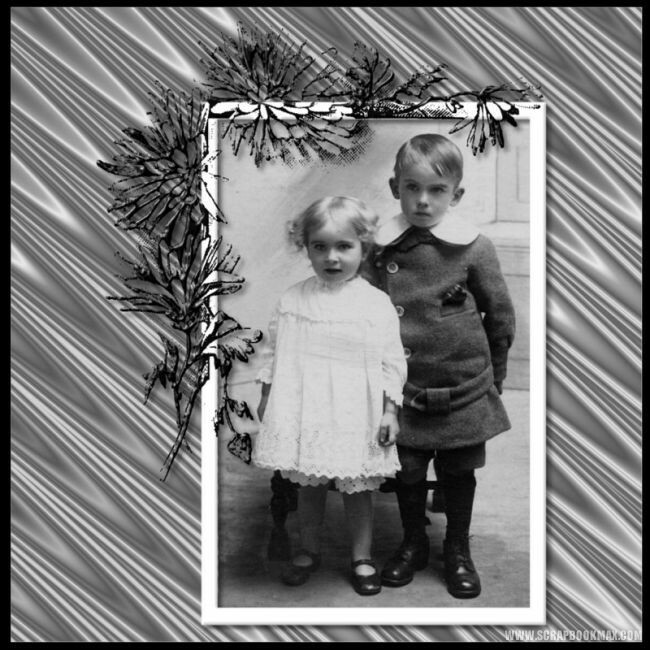 Dreaming of a “Black and White” Christmas! 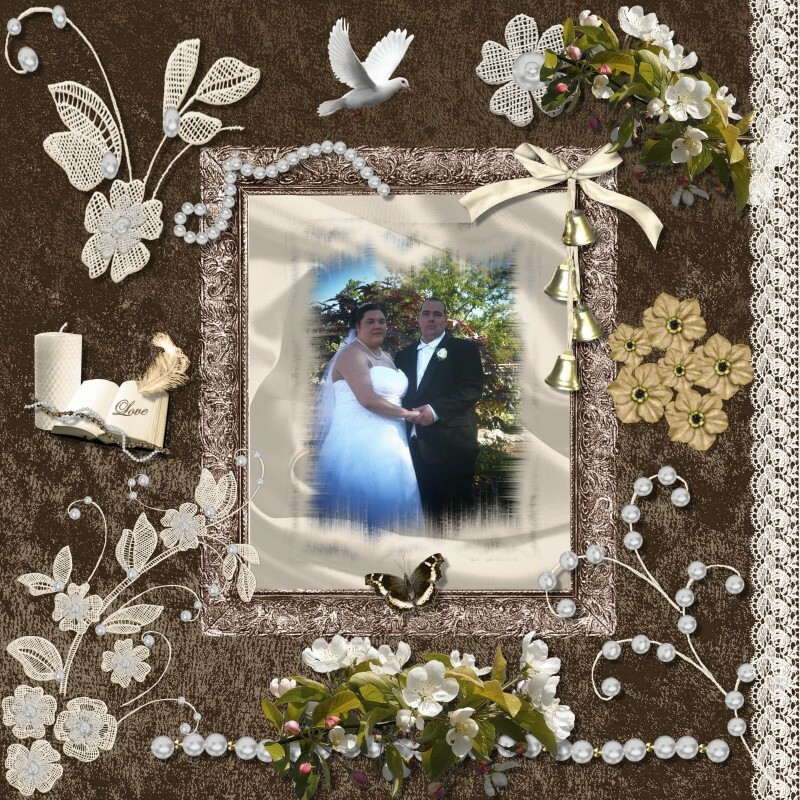 We loved these two holiday-inspired layouts that also followed our black and white theme. 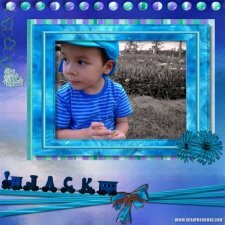 The first layout, by Eye, used color creatively within and outside of the photo to highlight the precious subject (what a cutie!). Carena’s layout has an old time feel, with a black and white photos and elegant touches of rich, festive colors in the surrounding elements. Beautiful! Look for the next issue of The Groove on February 1, 2009. Our theme is “Whimsical”. 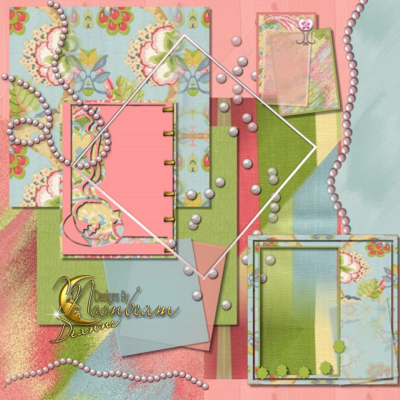 If you have a whimsical layout you’d like to share with us, please post it in this thread or email it to us at newsletter [at] scrapbookmax [dot] com – We may share your layout in the next issue of The Groove!